3D wood panels by Rebel of Styles available at best prices and quality at style4walls. 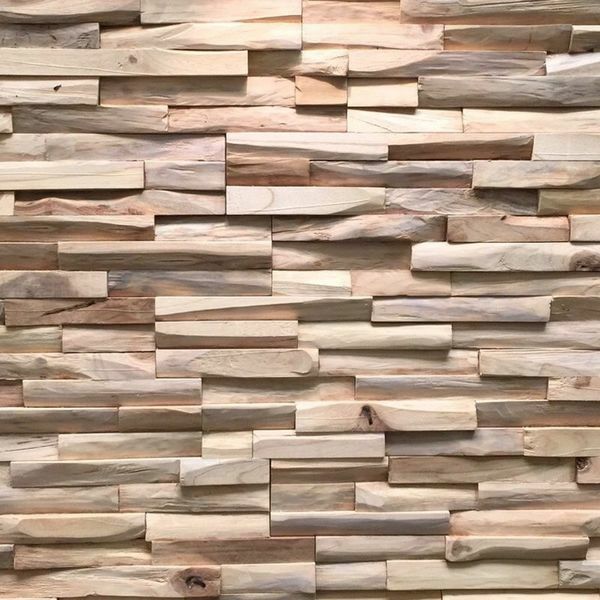 Rebel of Styles' UltraWood 3D Woodstrip Wall Panels are made from carefully selected, reclaimed and upcycled Asian teak wood strips. The 3D wood strips are lightweight and ready to use for easy and user-friendly assembly. The beautiful UltraWood 3D wood strip creates a very special and warm atmosphere in your home because of the natural look of wood. Rebel of Styles wooden wall panels at low prices and best quality at style4walls.